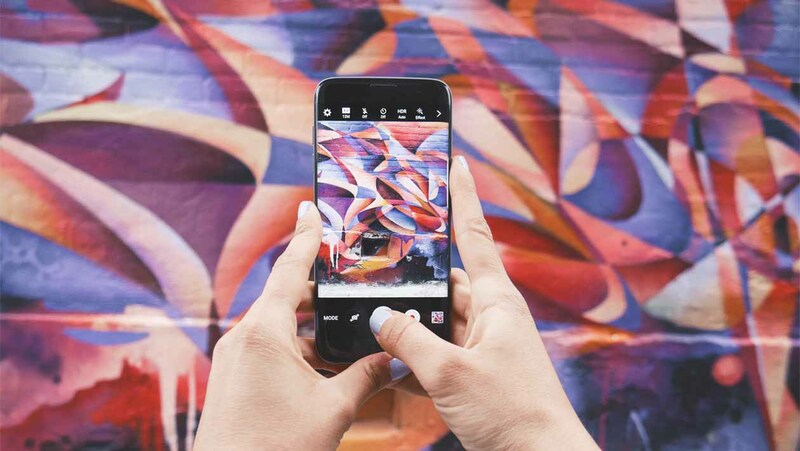 If you’re like us and you enjoy scrolling through Instagram – whether it’s for inspiration, for fun, for fresh ideas, or simply as a means of procrastination – these are the accounts you should definitely be following. The best part about Instagram is that it offers a curated insight into others’ lives, photography, thoughts and musings. This is made even better when that curated insight is from figures in the art world, a place filled with all sorts of dynamic and interesting people. Jennifer Higgie is the London-based editor of contemporary arts magazine Frieze / Frieze Masters. 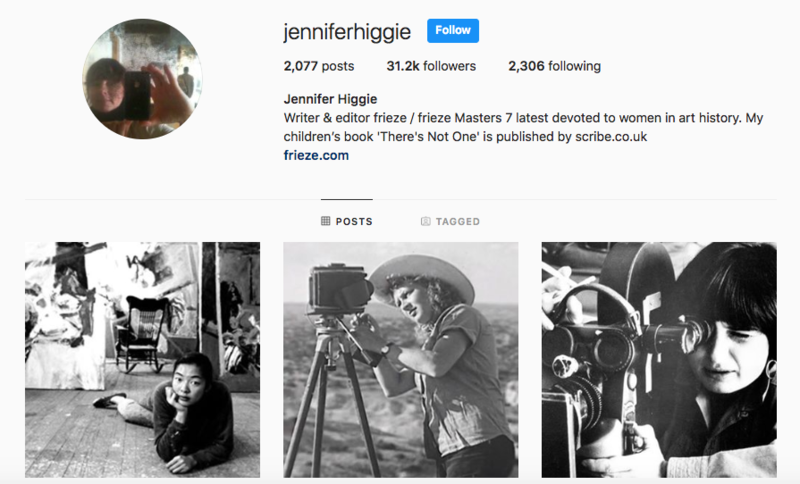 Higgie uses her Instagram account as tool to provide insight into women in art history, highlighting the big names alongside the forgotten and the little known. Each post provides a spotlight on a woman artist – where she was born, where she studied, what she accomplished, who were her peers, and what she tackled during her lifetime. 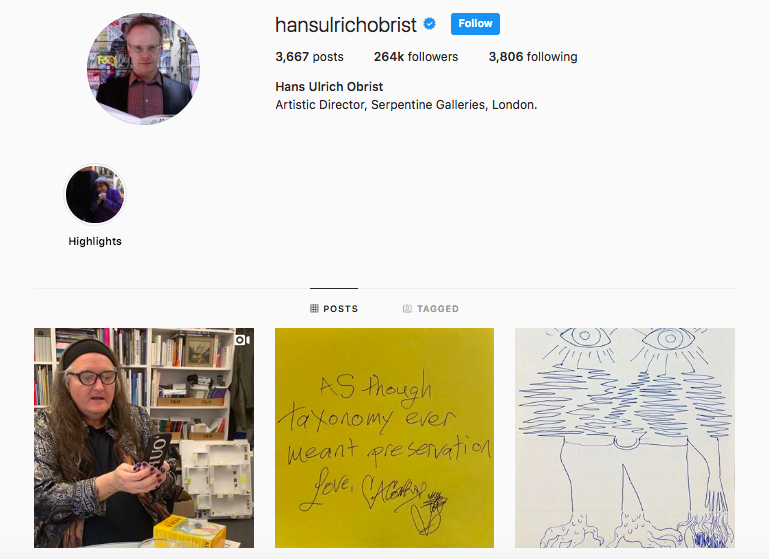 Hans Ulrich Obrist is Artistic Director of Serpentine Galleries, London. He is also a renowned critic and author of contemporary art and co-editor of the Cahiers d'art revue. His Instagram account is the subject of his Handwriting project, a protest against the disappearance of handwriting in the digital age, which means its filled with all sorts of notes and typography of different colours and styles. 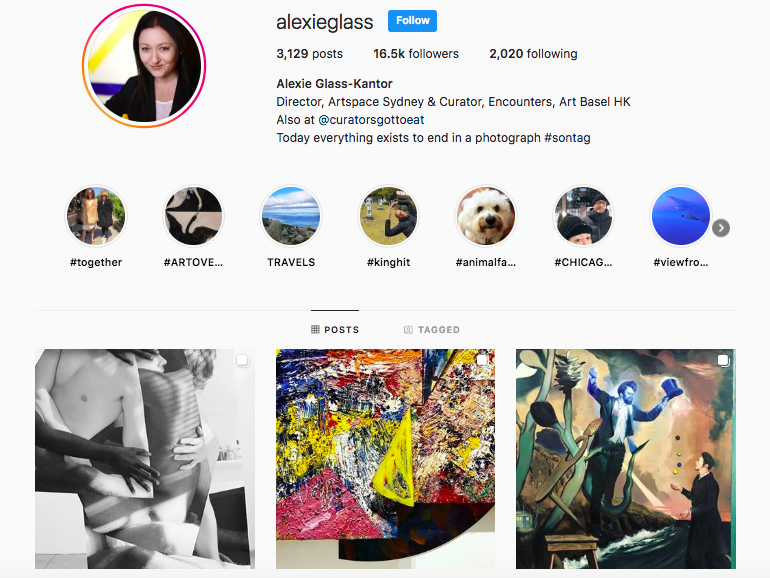 Director of Artspace Sydney and Curator of Encounters at Art Basel | Hong Kong (the section dedicated to large-scale installations), Alexie Glass-Kantor is a formidable voice in the contemporary art scene. She’s a regularly juror of art awards and prizes and continually hosts a programme of public programmes and delivers lectures throughout Australia and internationally. 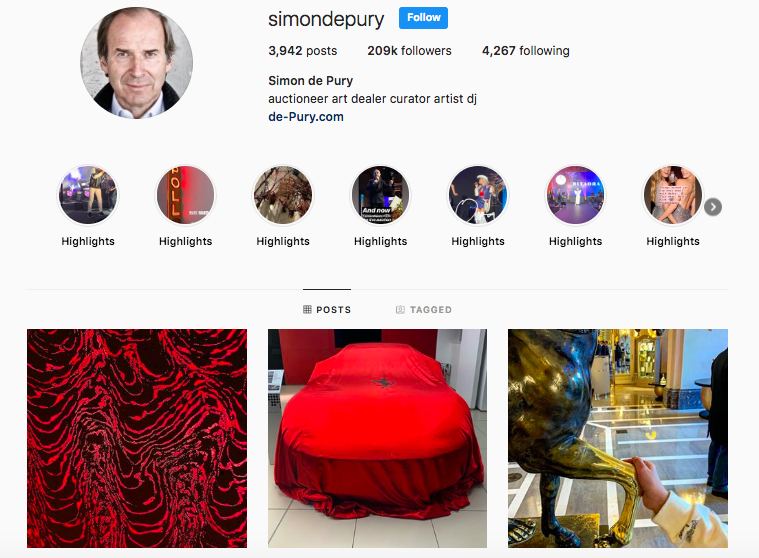 Simon de Pury is a Swiss art dealer and auctioneer, considered by some to be the world’s best known auctioneer. This is perhaps because he has appeared in several television shows and films, most notably Work of Art: The Next Great Artist, and has published the book The Auctioneer: Adventures in Art. 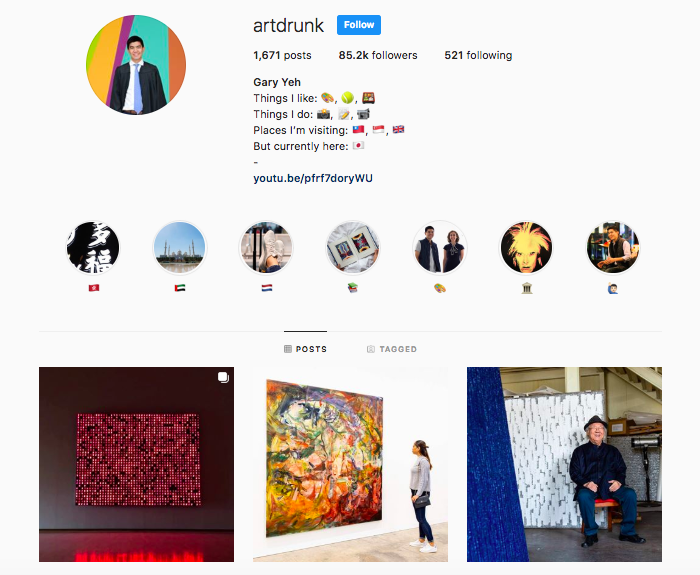 Gary Yeh is the founder of Art Drunk, an ‘art media company’ founded in 2018 that’s dedicated to breaking down the barriers of learning about, appreciating and collecting art. His Instagram features thoughtful and digestible captions which make art which might come across as intimidating as easy and fun to look at. 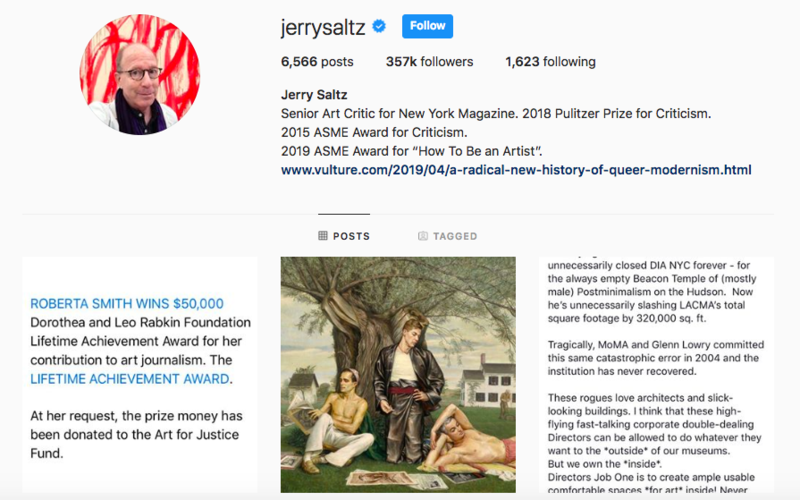 As Senior Art Critic for New York Magazine and winner of the 2018 Pulitzer Prize for Criticism, Jerry Saltz is, to say the least, a strong voice in the sphere of art criticism. His Instagram is full not only of art, but political statements, memes, screenshots of his Twitter musings, and much, much more. 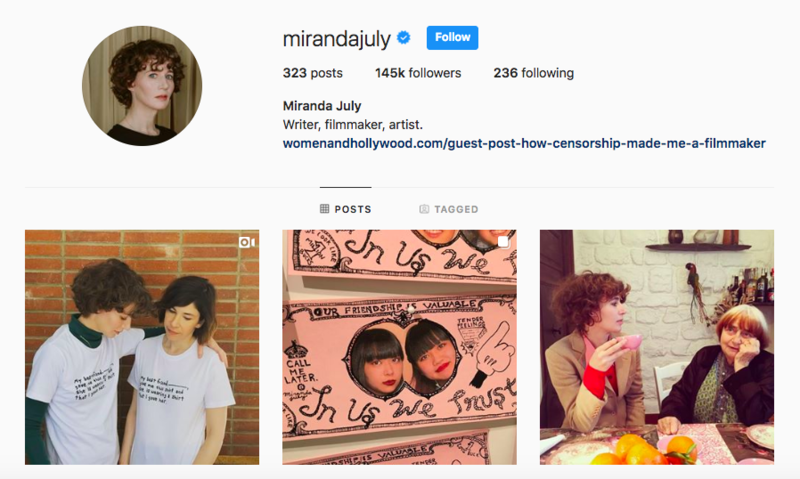 An American filmmaker, artist and writer, Miranda July can also add Instagrammer to her impressive list of professions. If you’re after a well-curated account, with poetic captions, thoughtful images and smart stories, then Miranda July is who you want to follow. Finally, you’ll have to forgive our narcissism, but we happen to think our Instagram account is a good follow. 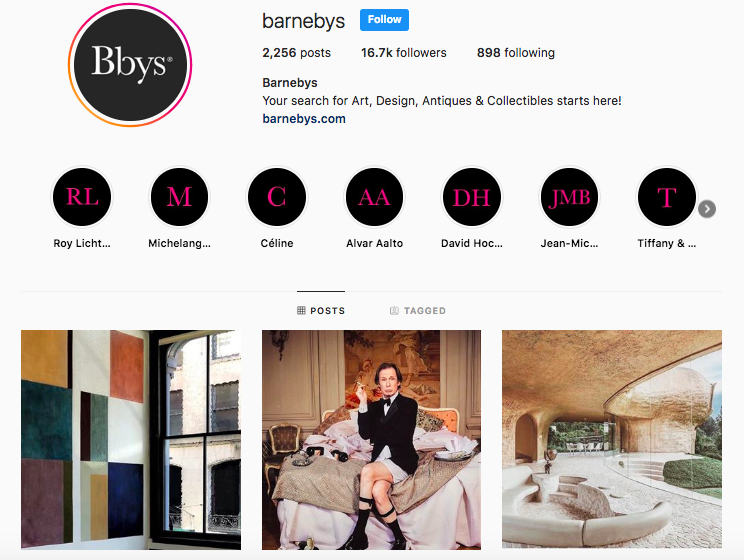 We may be biased, but if you’re after an aesthetic account with beautiful images, the latest art news, interesting Stories, and plenty of design inspo, then Barnebys is where it’s at.